Cooking quinoa is easier than you might think! Place the corn in a large pot and fill it with enough water to cover the corn. Cover the pot and bring it to a boil. As soon as the water comes to a boil, turn off the heat and let the pot stand, covered, for 5 minutes. Remove the corn from the pot and let it cool on a cutting board until it's easy to handle. Then, using a sharp knife, cut the kernels off the cob. Prepare the dressing by whisking together the lemon zest, lemon juice, melted butter, honey, salt and pepper in a large bowl. Rinse the uncooked quinoa in a sieve under cold water until the water runs clear. Cook the quinoa in a pot of boiling salted water per the package directions. 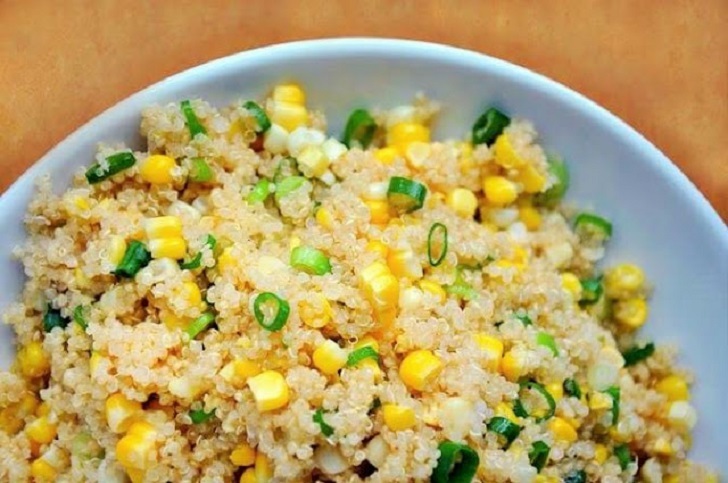 Add the quinoa, corn kernels and chopped scallions to the bowl with the dressing and toss until it's evenly coated. Season with salt and pepper and serve.